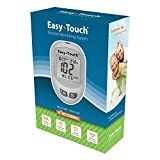 EasyTouch glucose monitoring kit. No coding. .5 UL blood sample. 5 second read out.